I’m an avid fan of modern technology and moving forward in the contemporary world. 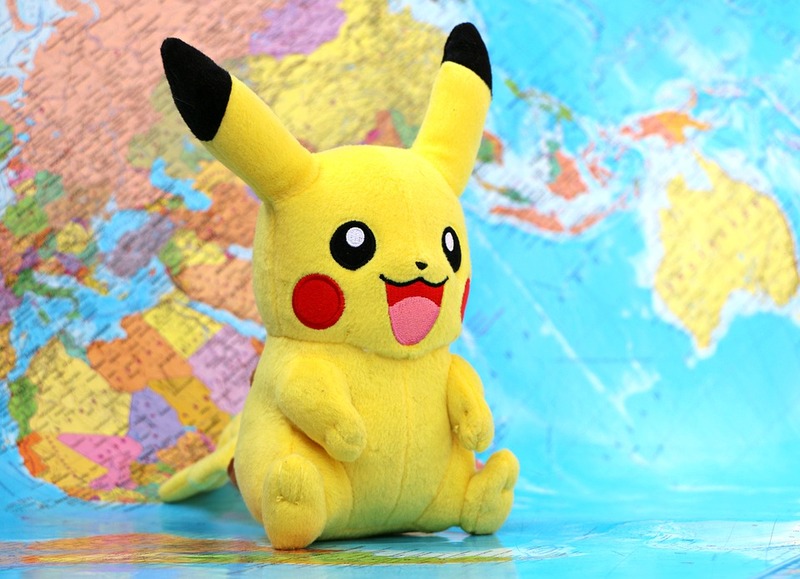 However I’m also an avid fan of tradition – so I wasn’t quite sure how I’d feel about Pokemon Go when thrust in to the virtual world by children. As mother to three boys I always tried to instill a love of tradition as they grew up. Colouring books, jigsaws and lego, were always at the fore in our house. Good old fashioned play outside was important too. As the boys grew older, PlayStation’s were growing in popularity and they came into our home. I’m very fortunate that even these games never took over from sport and outdoor fun – but that was quite a few years ago now. My boys are now grown up and very much independent. 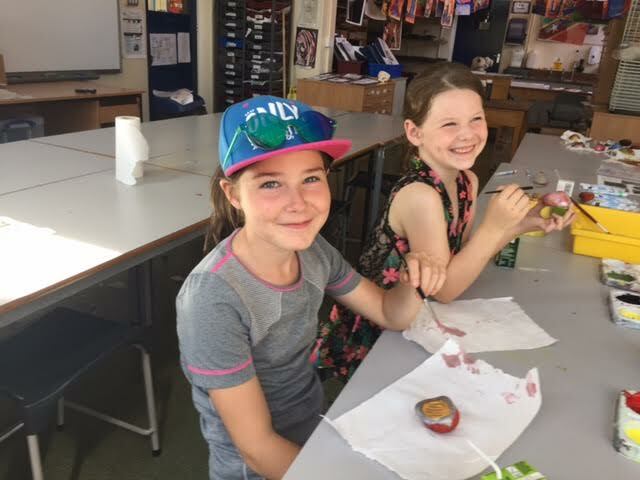 I really am grateful that as children they managed to avoid the virtual world we now live in – a world cannot be ignored, as I recently found out. Just last week I visited my two young nieces in Birmingham. On my arrival there on Tuesday night we had dinner and then spent the evening hours playing a fun game called Headbandz. Here we all placed a headband with a card on our foreheads. Each card had an item on it and we each had to ask one question at a time to try and guess our said object. Lots of fun was had and I realised during this play time that this game encouraged thought, planning and serious contemplation. The following day we went a walk in the local park. It was during this walk that I was introduced to Pokémon GO, a modern day craze taking the world by storm. 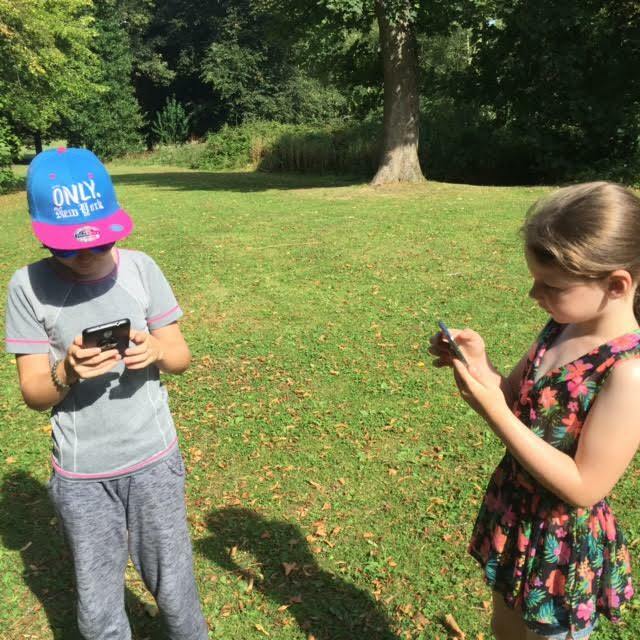 My six and 10-year-old nieces were hunting pokémon and I was a little annoyed at first. 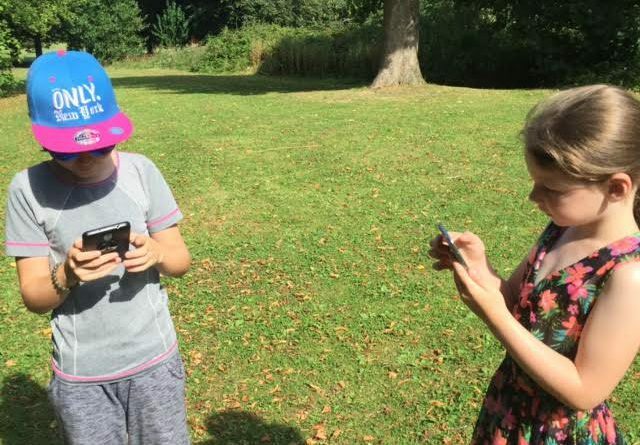 We were in a beautiful park, the sun was shining and yet they were focused on their phones. Yes, a little young for phones in my opinion, but I’m not mother to young children in the modern world so I really can’t tell a modern day mum what’s right and wrong. As we walked, I decided that the only way I might understand this game, was to join in. And so I downloaded Pokémon GO to my iPhone. I was still in a daze as to how it worked but my nieces were so impressed that I agreed to ‘walk away five times’ to get Pikachu. And it was then that I remembered….I’d met Pokémon before. My boys played this game on their Nintendo DS many moons ago. My boys bought Pokémon cards many moons ago. And I knew who Pikachu was. I’d seen him before. My nieces were even more impressed. 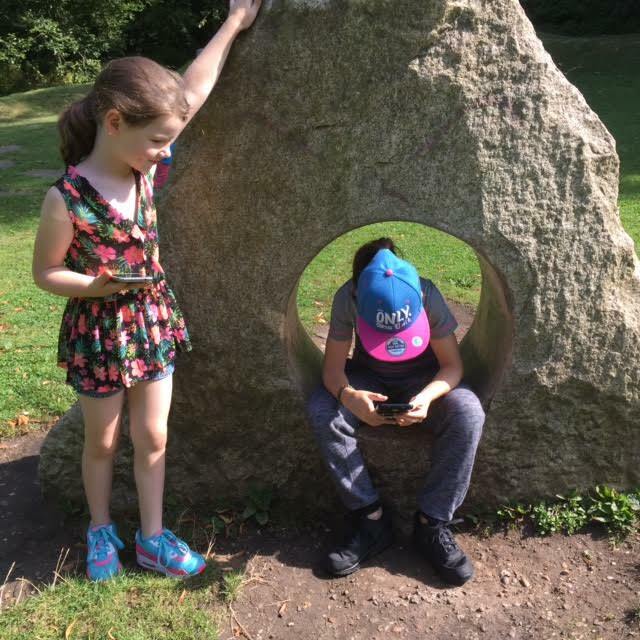 And so for an hour, I, alongside these two beautiful little girls hunted Pokémon in Highbury Park, Birmingham. And then we all agreed to put our phones away and get on with our walk to their dad’s school, where a summer class was taking place. On arrival there, the teaching staff invited us to paint stones, listen to music and create our own piece of art in remembrance of World War I. Following our departure from the school, the children carried out some creative writing exercises with me. While they were telling a story in pictures I stopped to contemplate our day. I realised that the virtual world of Pokémon GO is part of the modern day world for our children. I might not like this game but I’m glad I joined in and spent this quality time experiencing what my little nieces enjoy. In moderation there really is a happy medium. It’s all down to that happy medium. I must add that my six-year-old niece read me a story on the Tuesday night from a book that had pronunciations, even I struggled with. And my ten-year-old niece spelled words I struggled with. I’m an English tutor and writer, so I was a little red-faced. I might not be a mother to young children in the modern day, so I have no right to criticise how modern day mums raise their children. My lesson learned was that I must explore the contemporary pastimes, virtual and real, and get down to my nieces level. There are good and bad points about it all. I learned that these kids know both modern and traditional. I do believe they will go far. I will certainly be supporting them in all areas from now on.